Kee Safety, Inc. has introduced their OSHA-compliant Kee Walk with Guardrail rooftop walkway system with an integrated safety railing. It was designed to be a secure, anti-slip walking surface on all roof types. It also accommodates steps, traverses, and sloped roofs with pitches up to 35 degrees. It helps to eliminate potential fall hazards and to provide safe access across roof-mounted pipework and low-level walls. 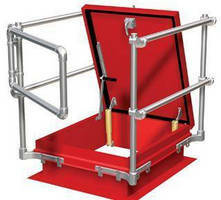 It is available with aluminum or nylon modules with anti-slip treads in 5-foot and 10-foot pre-assembled sections. The walkway and guardrails can be customized or retrofitted to any layouts. (JANUARY 2019) – Kee Safety, Inc., Buffalo, New York, announces the introduction of Kee Walk® with Guardrail, an OSHA-compliant rooftop walkway system with integrated safety railing. Designed to provide a secure, anti-slip walking surface on all roof types including metal profile and standing seam roofs, Kee Walk with Guardrail accommodates steps, traverses, and sloped roofs with pitches up to 35 degrees, Kee Safety® states. 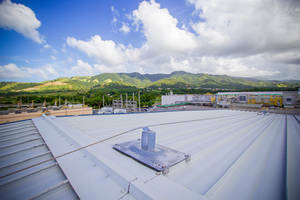 Serving as a “collective fall protection” system by OSHA criteria, Kee Walk with Guardrail helps to eliminate potential fall hazards by presenting a clear demarcation route for personnel accessing the roof. 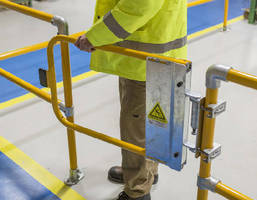 It can be used in conjunction with Kee Safety crossover platforms to provide safe access across roof-mounted pipework, over low-level walls, and to service plant equipment. 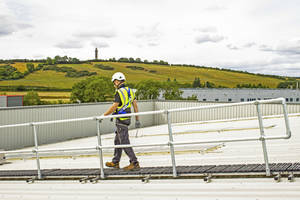 The corrosion-resistant walkway-railing system is also compatible with other Kee Safety fall protection products to deliver a complete rooftop safety solution, according to the company. Kee Walk with Guardrail is available with aluminum or nylon modules that feature anti-slip treads. These are supplied in 5-foot and 10-foot pre-assembled sections that are easy to install and do not require onsite fabrication. The guardrail uses Kee Klamp® fittings and can be set up as either a single or dual-sided handrail system. The durable, corrosion-resistant system also installs without penetrating the roof. With its modular design, Kee Walk with Guardrail can be customized for layouts of new buildings or retrofitted onto existing structures. The walkway and guardrails combine to enhance worker safety even in wet and windy conditions, noted Kee Safety. Established in 1934, Kee Safety is a global manufacturer of safety equipment and fall protection systems. Kee Safety products are designed for new-build and renovated or upgraded commercial, institutional, industrial, and municipal buildings and facilities. 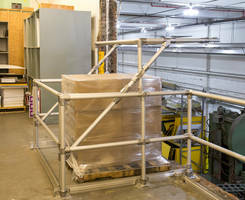 For more information, contact Kee Safety, Inc., 100 Stradtman Street, Buffalo, NY 14206. Phone: 716-896-4949. 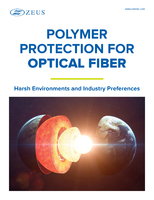 Toll-Free: 800-851-5181. Email: info@keesafety.com.www.KeeSafety.com. DIN Rails comply with EN 60715 standard.